Hot on the heels of the news that Australia would be the fifth country to get Google Home (following the US, Canada, France, and the UK), it seems the smart home assistant has now learned its third language. The official Google blog in Germany has announced that Google Home will be available in the country from next month. It was only a matter of time really, as Google Wifi was made available there last month. This just leaves Japan to come, of the countries Google said would be getting the smart speaker this summer. The German-speaking device will offer much the same experience as its counterparts, answering general questions, playing music, reminding you about calendar appointments, and controlling smart home devices. Just like its counterparts, it still won't be capable of setting new reminders, something that's a constant bugbear for many users. That ability is supposed to be coming soon, though, so maybe it'll make it in time for launch in Germany. I wouldn't count on it, though. 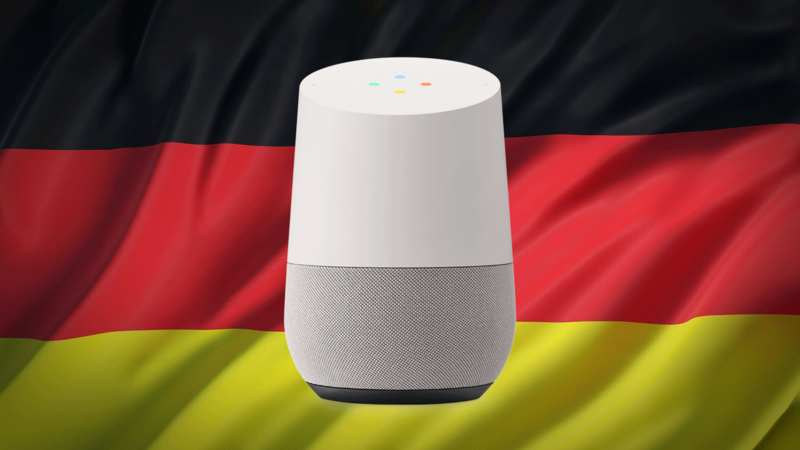 Google Home will be available in Germany from August 8th and it will retail at €149, though I'm sure there will be deals bringing the cost down soon enough, as there have been many in other regions. You'll be able to get it directly from the Google Store, as well as from MediaMarkt, Saturn, mobilcom-debitel, Conrad, Cyberport, Tink, EP, Medimax, and Otto. Viel Spaß!